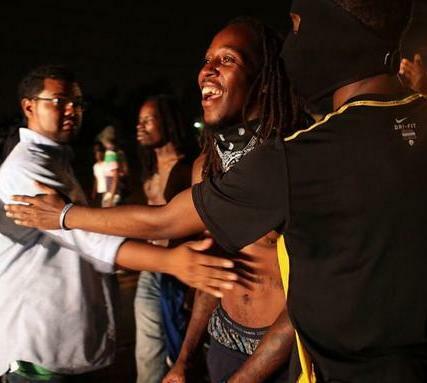 For everyone who participated in the Ferguson unrest, we all have our unique experiences. And at some point, either on Day 1 or Day 101, we all inevitably ran up against some internal force that sought to limit the creativity and explosiveness of the moment, mirroring the actions and words of the State and business owners. This collection of writings is for those of us frustrated by these (sometimes difficult to name) suffocating forces. Thankfully from the get-go most saw through the parasitic leaders like Jesse Jackson, Al Sharpton, Charlie Dooley, and even Ron Johnson. At this point, it would appear that these forces (in collaboration with the cops, the media, the politicians, etc.) have managed to squeeze this rebellion until there is now very little of it concretely left. This is the role that they have always historically played and will continue to play until we stop listening to them. Something beautiful and creative has now, once again, been boiled down to endless charades in front of the media cameras, lists of demands, leaders, specialists, trainings, workshops, organizations, funding drives, and on and on and on. But the memory of what it felt like to act together in the streets and ignore the calls for calm live on inside those of us who experienced it and are the building blocks of a world without police murder. Each of the following critiques was written in a particular place at a particular juncture of time when various unimaginative forces were rearing their heads to take control of some rebelliousness. Each place is different, as is the time period, but these remain valuable resources for those feeling disillusioned with the self-proclaimed leaders and seemingly immovable, faux-participatory frameworks of thinking and acting.